A unique opportunity for youth ages 14-18 years old! Weathervane Playhouse has a tradition in training young artists in the areas of backstage or technical theatre. This training is a hands-on experience with growing professionals in the business. This tradition has become known as the Weathervane Playhouse Apprentice Program. The Apprentice Program is an unpaid educational adventure that is an invaluable experience in learning the business of theatre, the mechanics of putting on a production, honing and learning new skills and observing professionals in their craft. A fully hands-on learning experience, that is cultivated in real-job application. Many of our apprentices have gone on to have very successful careers in theatre, film and other areas. Apprentices are encouraged to participate in tech week and strike. They will also receive a complimentary ticket to the Summer Main Stage Production. 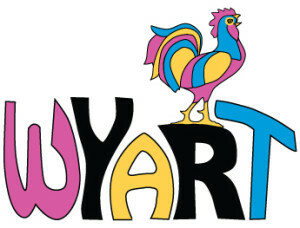 As an additional bonus, Apprentices will receive credit for a WYART Workshop or Production. You must be 14 years of age and no older than 18 years old to apply. The Apprentice Program engages students mainly during the following dates: May 22-August 10, 2019 for the Main Stage Summer Season. These dates are subject to change or addition. The schedule for Apprentices vary by position and are based on the needs of the Production. Please send Letters of Recommendation separately to the Theatre Education Director by the deadline with the Applicant Name clearly marked.